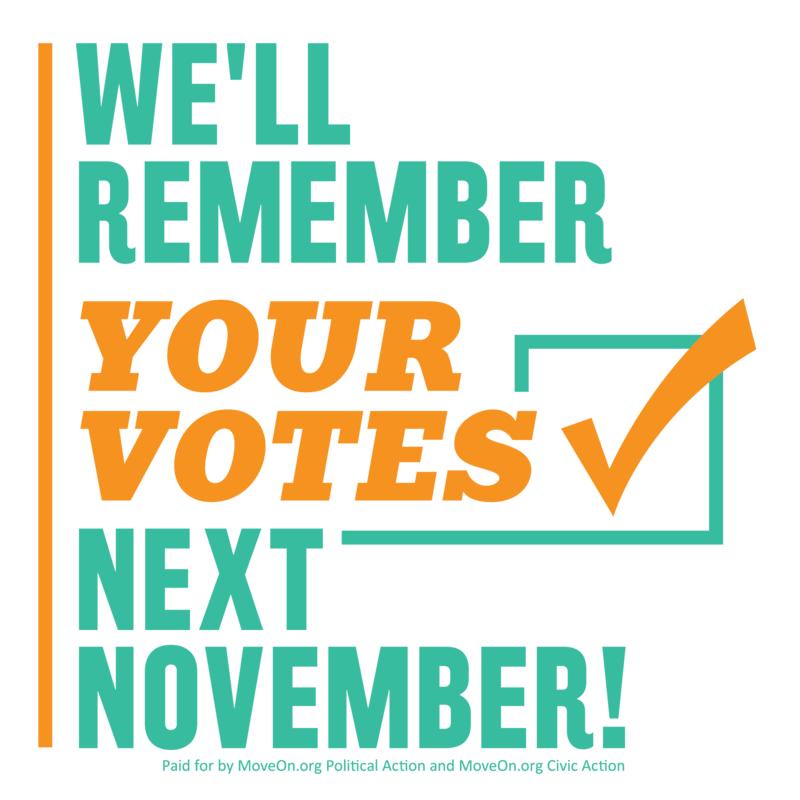 We are down to the last week before the #GOPTaxScam might become law of the land–without a single Democratic Member of Congress voting for it and none of the amendments suggested by Democrats being accepted. As Democrats, we act until the vote happens to do our best to defeat the bill. You can use 202-224-3121 to call your Members of Congress (2 Senators, Fischer and Sasse and your House of Representative Bacon, Fortenberry or Smith). Bring a picture of your family and write on the back a message, your name, and your address. Ask that the office sends you a reply on why they are voting for a bill that will add at least $1 trillion in debt and hurts the middle class. We will host an event in Omaha, Lincoln and Grand Island. 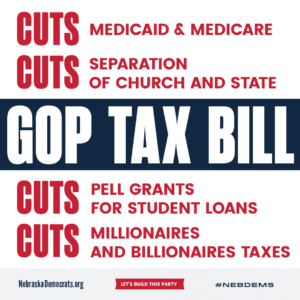 If the #GOPTaxScam goes thru, we will host a series of “Unhappy Hour” events at Congressional Offices, Wed. at 6pm CT.
We have invited Democratic Challengers to speak at each location about how the bill will only hurt Nebraska families. It will be getting dark out so bring some flashlights. Allies like MoveOn and Indivisible are also posting ideas for actions.